It costs less to get married in February at The Ashes Barns than for any other month in the year. Nothing else changes, you still get exclusive use of the entire venue, you still get to take advantage of our no corkage offer, you still get all the help and support you need from our Award-Winning Team of Event Managers; you just pay significantly less for it. Paying less for the Venue Hire means you’ll have more of your wedding budget to allocate to fun extras that you might not otherwise have been able to afford. Maybe you’ll go for a live band or hire a magician for some added wow factor. 2. You Won’t Obsess Over The Weather! Checking the weather app becomes a daily obsession for most summer brides on the run up to their big day. Plan to get married in February at The Ashes Barns and you’ll be ready for a cold, brisk, day making the most of the cosy warmth of our Grade II Listed stone barns. If the sun does make an appearance, it’s a bonus that you and your photographer can exploit. Wedding suppliers will love you for planning a wedding in February. Popular wedding suppliers can get booked up years in advance for summer weddings but you should find that you can book your first choice suppliers for an off peak February wedding at The Ashes Barns. Not only should you get your pick of suppliers but you’ll find that they are totally up for embracing your winter wedding theme and love that you’re doing something a little different. The fact that it’s going to go dark at around 5pm in February means that you have much more opportunity to P A R T Y ! With the best will in the world it’s really hard to fill a dance floor in daylight whereas your February wedding guests will be up on that dancefloor like a shot! You’ll also find that all your guests will stay together in The West Barn at The Ashes Barns following the wedding breakfast. They’re much less inclined to have a wander outside when it’s cold and dark and that works to your advantage as you can keep the high energy atmosphere going throughout. Summer can be hectic, most people plan a holiday and it can be really hard to find a date that works for everyone. Get married in February at The Ashes and all your friends and family are much more likely to be available for your date. Not only that, they’ll love having something so special to look forward to in February. 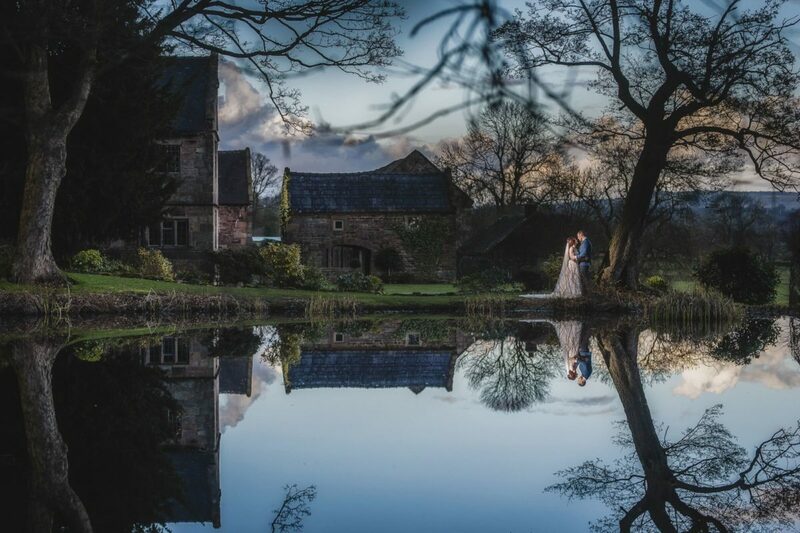 Hopefully you'll agree that these stunning images captured at Lyndsey & Andy’s February Wedding prove that you can get amazing photographs at The Ashes Barns in February and enjoy an epic winter wedding day! Shot by the incredible Pixies in The Cellar Lyndsey & Andy totally rocked their day.